Zechariah and his contemporaries are trying to rebuild their lives after seventy years of exile. Back in the Promised Land, the Jewish community faces innumerable obstacles to actually accomplishing anything of significance. Then God sends another vision to Zechariah. After Zechariah sees a vision at night of horses in a valley (1:7-17), God gives him a vision of four horns and four blacksmiths (1:18-21). I think that the New Living Translation gets it right when it identifies the horns as “four animal horns.” But four animal horns are typically associated with the altar of sacrifice. (See the picture on the left). In addition, if these animal horns were just free-floating horns, why would God send blacksmiths to deal with them instead of someone likes farmers or sheepherders? 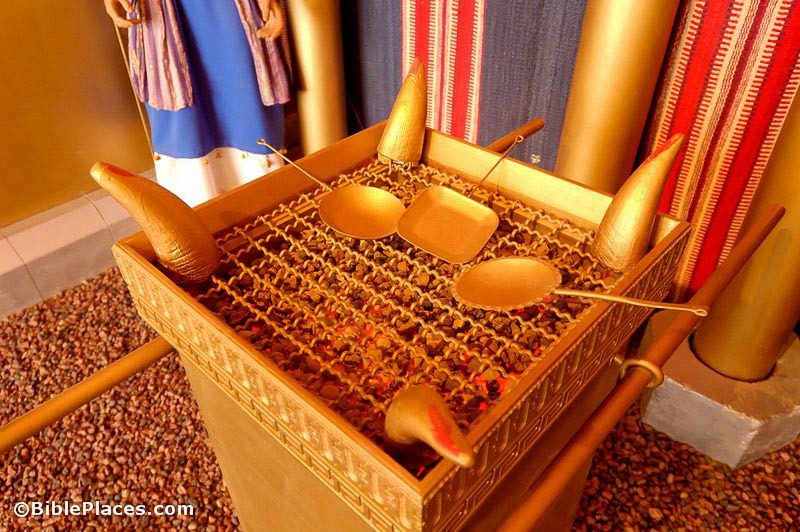 The answer is that Zechariah saw an altar with four horns. So Zechariah sees an altar with four horns. Then he sees four blacksmiths. The purpose of the blacksmiths is to “terrify those nations and throw them down and destroy them” (1:21). In the vision, the blacksmiths are coming to dismantle the altar. The dismantling of the altar represents judgment rendered on the nations, which exiled Israel, by other nations. Namely, it is a vision which shows Babylon and Assyria primarily being judged for the exile by Persia. I also think that the vision of the four horns functions like a hinge between 1:12-17 and 2:1-5. In both of those sections, Lord promises restoration for His people. Specifically, Jerusalem would be restored with an overflowing prosperity and populace (1:17; 2:4). But how does Jerusalem’s restoration come about? Through the judgment of the pagan nations, which is symbolized by the vision of the four horns! The vision of the four horns depicts God’s past judgment on the pagan judgments which is a pledge of God’s future judgment and subsequent restoration of His people. So how does this intersect with your life? The passage focuses on God’s judgment and His sovereignty. It stirs in me a longing for the world to be made right. Evil will not get its way forever. God will work on behalf of His people—those who are “in Christ”—and judge His enemies. But also, I know that the decisive victory was won on the cross as Christ “disarmed the spiritual rulers and authorities. He shamed them publicly by his victory over them on the cross” (Col. 2:15). So I can rest easy today because I know that my future is secure. Although I may suffer physically, my spiritual life is secure. And a physical existence beyond comprehension awaits me at the resurrection on the Last Day.